You have committed a security breach. Your Yahoo! 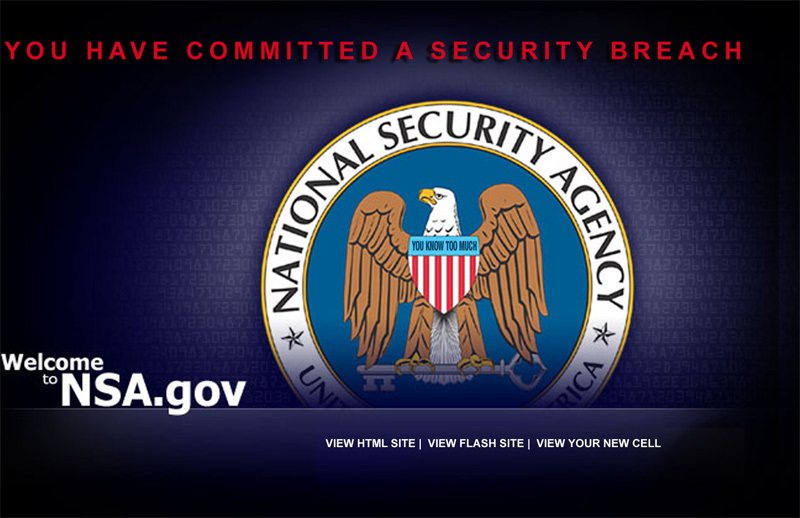 websearch for "Osama bin Laden + Wafah Dufour" has been referred to an NSA Internet Security Representative. In the name of freedom, please place your hands above your head and proceed immediately to your front door. Do not touch your computer. Do not make any sudden moves. Our government officials will assist you within 5 minutes. If you do not choose to comply, you may wish to visit this sanctioned link to understand the process of extraordinary rendition. Thank you for your coercion. I took an oath to defend our flag and freedom, and I'm keeping that oath underseas and under fire.